Advent calendars are usually reserved for Christmas but these distressed countdown to Halloween blocks are a fun way to keep track of how many days are left til candy! It can also help keep track of how many days are left to finish up costumes and pick up treats for the big night. 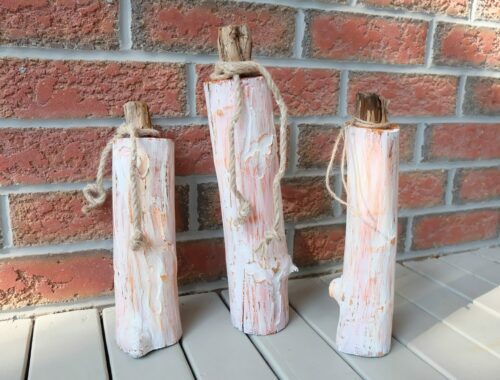 Some wood blocks, paint and sandpaper and you are good to go. Paint two square blocks in a solid colour. Paint three small skulls black and let dry. While the skulls are drying, paint black on the two blocks to cover the green and let dry. Paint the base block black. Use some gold paint and dry brush it over the skulls. Use the sandpaper or a sanding block to remove some of the black paint to reveal some of the green underneath. On the base block, write ‘day til Halloween’ with the paint pen. Glue the skulls to the side of the base in a stack. And while your shopping, why not pick up the supplies for this project? 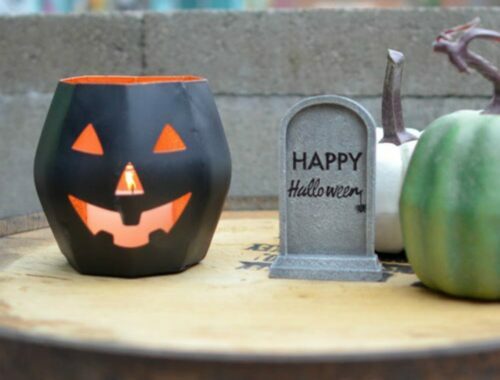 Top Outdoor Halloween Decor Ideas!